Music is a medium of happiness for almost everyone, there’s hardly anyone alive who hates listening to music. Music is also a form of communication. If you are a music lover and thinking to start your career as a music producer then you are in the right place because we will tell you the very basic steps for becoming a music producer. So without wasting your time and my energy lets begin. 1 Who is a music producer? 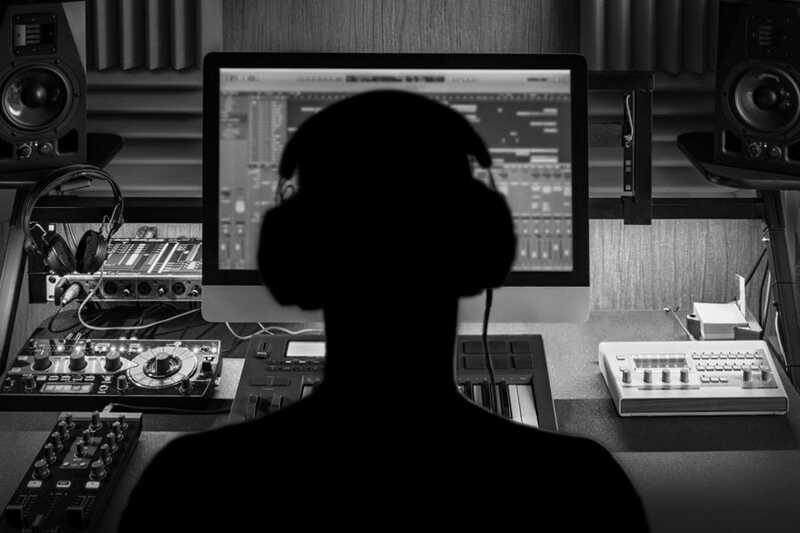 1.1 Essential steps to start your career as a music producer. Who is a music producer? The very first question which pops up in your mind must be who is a music producer? Basically, a music producer is a person who brings ideas for a project, records musical sessions, arranges the elements(guitars, keys, organ, drums) in the sequencer, guide the singer on the vocals, plays the instruments. In short, the music producer is a one-man army, they specialize themselves in almost everything that is arrangements, compositions, mixing, mastering, marketing etc. Essential steps to start your career as a music producer. To start your career as a music producer you must possess very deep knowledge about music. The genres, origins, style, instrument(s), Computer. The music industry is totally dependent on computers and software nowadays so having knowledge about computers is very important. Music theory is not related to learning instruments, it is somehow related to learning instruments but not completely. Basically, it’s learning the ABCDEFG of music. Just like when we were young we used to learn A-Z so that we could learn to form words, later we used to learn to form sentences so that we could conversate. In the same manner, if you want to be a music producer, you must learn the ABCDEFG of music in order to make chords, melodies. DAW:- Digital Audio Workstation is a software which is used to produce music. For example- Fl Studio, Ableton Live, Logic X, Cubase, Reaper, etc. It is a software which helps the user to sequence(arrange) the elements, a lot each element a separate mixing channel and master. There are many DAWs available in the market I have mentioned some of the above. Each DAW has its own pros and cons and you can also try all of them before sticking to one. Sounds weird right? But in order to be a successful music producer, you should have a musical ear. By musical ear I mean the knowledge and capability to understand how the entire track/song should sound like, you should have enough knowledge to shape a track to make the listeners understand your motive of producing the track. Almost everyone ignores this part, but sound designing is very crucial for a music producer. It is the backbone of music. Sound designing is creating your own sounds according to your own requirements. Most of the producers use pre-made sounds to save time, it’s not bad but if you know how to make your own sounds then you don’t have to surf among thousands of presets. Sound designing is a completely different topic most people get confused between a sound designer and sound engineer. A sound engineer helps to produce a recording or a live performance, balancing and adjusting sound sources using equalization and audio effects, mixing, reproduction, and reinforcement of sound. (Source Wikipedia). You can learn the basics of sound designing from Zen World. So these were the few basic requirements to start your career as a music producer. Becoming a music producer is not a difficult process if you know what you are doing and if you’re focused. We will also post articles related to each and every requirement soon, till that if you have any queries Contact us. You can also submit your article here. The Versatiles is blog managed by two friends. Both of us are specialized in multiple niches in blogging while focusing on some of our favourite ones on this blog.